Spring is here, bringing with it pleasantly mild temperatures and plenty of sunshine. While the weather in Barcelona in March certainly isn't the warmest it gets here in the Catalan capital, the dreary days of winter are coming to an end, and it shows in the liveliness and fun that fills the streets. Although March is still technically considered part of low season in Barcelona, there's still plenty going on throughout the month. It's one of the best times of the year to truly get immersed in local culture and experience the authentic way of life without dodging the hordes of tourists that tend to arrive en masse throughout the late spring and summer months. Here's what you need to know in order to enjoy a relaxing, stress-free trip to Barcelona in March. Temperatures for the first two-thirds of March in Barcelona aren't much better than they were in February—think highs in the low 60s and lows in the 40s. Barcelona's proximity to the sea means the water has a cooling effect which lasts until much later in the month. However, near the end of the month, it's not uncommon to see readings in the high 60s—still a bit cool for sunbathing or swimming at the beach, but perfectly nice for exploring the city without breaking into a sweat or feeling like you're going to freeze. Barcelona in March doesn't see much precipitation, with less than three total inches of rain falling, on average, throughout the month. Instead, expect an average of 12 hours of sunlight per day to complement the mild temperatures. Keep in mind that throughout Spain, locals tend to dress according to the season rather than the weather. That means that although spring technically begins in March, you won't see anyone (except for tourists) breaking out their shorts and sandals just yet. Temperatures still aren't at their warmest in Barcelona in March. Daylight hours can feel quite pleasant, but evenings and nights are still quite chilly. Consider dressing in outfits that can be easily layered for comfort, and bring a warm coat if you'll be out and about experiencing Barcelona's iconic nightlife. Although rainfall is quite low here in Barcelona in March, unexpected showers do happen. Toss a compact umbrella into your bag so you don't get caught off-guard. Plentiful sunshine means that stylish sunglasses are a must, so bring a pair and you'll fit right in. Barcelona's fun-loving spirit and good vibes mean that there's always a reason to celebrate. Save the dates for these festivals and events taking place throughout the month. Sant Medir festival: March starts off with plenty of fun thanks to this traditional festival on the third. Horses, carriages, trucks and more wind their way through the streets of the Gracia neighborhood, throwing candy and other sweet treats to the eager spectators lining the sides of the roads. Barcelona marathon: A great way to get up and moving after a chilly winter, this annual race takes place in March, with 2019's edition scheduled for March 10. 61st International Vintage Car Rally: Classic car fans won't want to miss this race from Barcelona to Sitges from March 16–18. What makes this event special isn't just the fact that all participating cars date from prior to 1924 (although that certainly is pretty cool). The drivers and other occupants of each vehicle must also dress in period-appropriate clothing, making the event quite the fashion spectacle as well. March is one of the best times to visit Barcelona. High season doesn't start until later in the spring, so the city is comparatively quiet. The relatively low number of tourists means that accommodations can be on the inexpensive side compared to more popular months. Another great reason to visit Barcelona in March is the prevalence of delicious seasonal foods, from calçots (Catalan sweet onions, in season until the spring). The chilly mornings also provide a great excuse to indulge in soul-warming churros con chocolate at a local cafe. 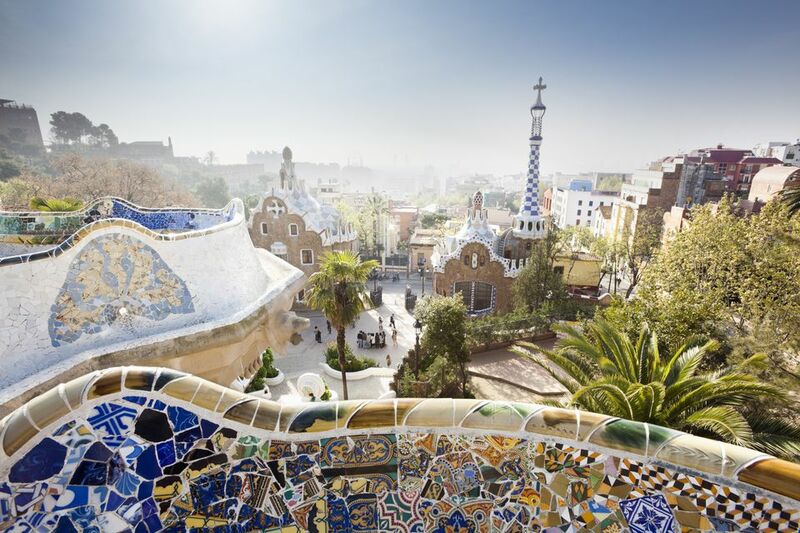 To learn more about if March is the ideal time for your trip to Barcelona and other Spanish cities, be sure to check out our guide to the best time to visit Spain.